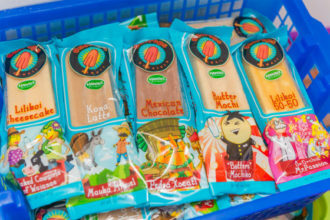 OnoPops are handmade Hawaiian gourmet frozen pops made on Kauai from local farm ingredients. Supporting Hawaiian agricultural sustainability, we buy directly from 30+ local farmers to make over 75 flavors that are all natural. "Popular flavors include Mango Honey Cream, Kauai Coffee Latte, Passion Fruit Cheesecake, Pineapple Vanilla, Strawberry Goat Cheese, Green Tea and Butter Mochi." Available at 30+ Kauai retail locations, events and craft fairs. Customers can order by phone or email, but we do not have fax.